Healing Your Broken Heart | Kathy Marshack – Kathy J. Marshack, Ph.D.
All relationships have their ups and downs. When Asperger Syndrome becomes part of the mix, the challenges easily mount. Relationships are built on communication and showing love, affection and empathy, all of which are difficult for the Aspie partner. It’s no wonder that broken dreams and broken hearts crop up in these relationships. While many NT/Aspie marriages can work, many others end in divorce. Either way, the NT partner can become worn out from trying so hard to make it work. In addition, friends and family may not understand what you’re going through and your children may even blame you for the difficulties in the family because all they see is that you’re tired and irritable. Just about the time you think you have healed your heart from the grief of shattered dreams, something else pops up and whaps you in the head. It can be a holiday, or a piece of dinnerware, or your Aspie-ism that triggers your grief and takes you by surprise. Those feelings don’t ever really go away. They surface again and again and wear you out. 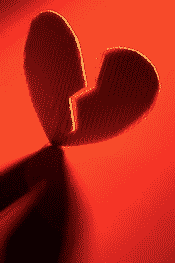 On Saturday, October 19, 2013, we’ll be meeting in Portland, Oregon so we can discuss, “Healing Your Broken Heart.” At this Meetup we’ll share strategies for healing ourselves. We’ll explore how it’s possible to carry on by growing emotionally and making new spiritual connections, so you can create a new more beautiful and exuberant life. I encourage as many as possible to attend. If you cannot, visit our private Meetup page and join our online community. We’ll be sharing what we learn there. For more information about Asperger’s and Marriage – Download a free sample chapter of Life with a Partner or Spouse with Asperger Syndrome: Going Over the Edge.